High-definition video or HD video refers to any video system of higher resolution than standard-definition (SD) video, and most commonly involves display resolutions of 1,280*720 pixels (720p) or 1920*1080 pixels (1080i/1080p). This article discusses the general concepts of high-definition video, as opposed to its specific applications in television broadcast (HDTV), video recording formats (HDCAM, HDCAM-SR, DVCPRO HD, D5 HD, AVC-Intra, XDCAM HD, HDV and AVCHD), the optical disc delivery system Blu-ray Disc and the video tape format D-VHS. Film as a medium has inherent limitations, such as difficulty of viewing footage whilst recording, and suffers other problems, caused by poor film development/processing, or poor monitoring systems. Given that there is increasing use of computer-generated or computer-altered imagery in movies, and that editing picture sequences is often done digitally, some directors have shot their movies using the HD format via high-end digital video cameras. Whilst the quality of HD video is very high compared to SD video, and offers improved signal/noise ratios against comparable sensitivity film, film remains able to resolve more image detail than current HD video formats. In addition some films have a wider dynamic range (ability to resolve extremes of dark and light areas in a scene) than even the best HD cameras. Thus the most persuasive arguments for the use of HD are currently cost savings on film stock and the ease of transfer to editing systems for special effects. A number of online video streaming/on demand and digital download services offer HD video, among them YouTube, Vimeo, Hulu, Amazon Video On Demand, Netflix Watch Instantly, and others. Due to heavy compression, the image detail produced by these formats are far below that of broadcast HD, and often even inferior to DVD-Video (3-9 Mbit/s MP2) upscaled to the same image size. HD Video Converter Factory Pro; it fully supports Multi-track HD video M2TS, MKV, AVCHD, HDTV BDAV and MPEG-TS video movies. Supporting Multi-CPU and Hyper Threading, and the HD Video Converter Factory Pro offers up to 3x-5x real time video converting speed. HD Video Convertor - Occupy the High Definition. 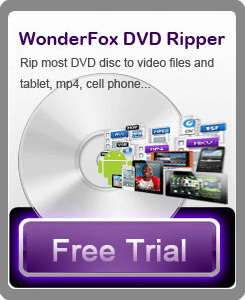 Free HD Video Converter Makes the World Clearer.